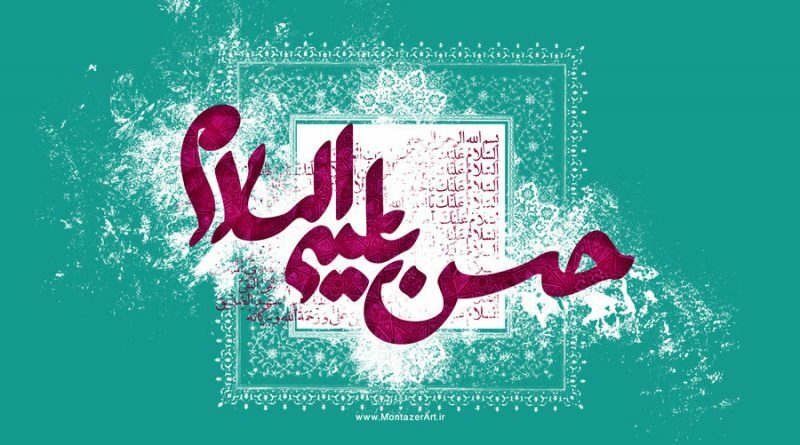 The eldest son of Imam Ali (a.s) and Lady Fatimah al-Zahra (a.s), and second of the Twelve Imams, Imam al-Hassan (a.s) was born in the year 3 A.H, three years after the migration to the city of Madinah. Imam al-Hassan (a.s) is amongst the direct Ahl al-Kisa’a, who were cleansed and purified by Allah (s.w.t) alongside the Prophet Muhammad (s.a.w) (Surah 33:33, the second half of the Ayah). In addition, he was referred to on numerous occasions as the “Son of the Holy Prophet Muhammad.” This title is also affirmed by the Qur’an in the Ayah associated with the incident of the Mubahala (Qur’an 3:61), in which Imam al-Hassan was amongst those whom the Prophet considered his son (alongside his brother al-Husayn). Imam al-Hassan b. ‘Ali had the misfortune of witnessing many of the early tragedies that befell Islam including the ,martyrdom of his mother Lady Fatima, the denial of his father’s leadership, and then the turbulent period which encompassed his father’s rule as Caliph, in which three separate civil wars were fought. Following the death of his father Imam ‘Ali, Imam al-Hassan became responsible for the leadership of the Ummah. He encountered rampant corruption which had overwhelmed the Muslim empire, and was forced to enter into a peace treaty with Mu’awiya. However the wisdom behind the peace treaty deal would later be interpreted by historians as a strategic move by Imam al-Hassan which would expos the treachery and dishonesty of Mu’awiya, who violated all acts of the treaty. Imam al-Hassan died as a martyr, poisoned through a plan orchestrated by Mu’awiya in 50 A.H, dying at the young age of forty-seven.